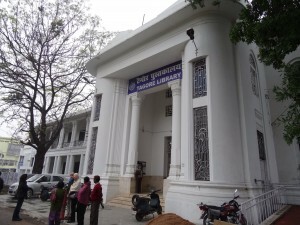 Lucknow, a “small” Indian City with a mere 3-4 million population, has a less chaotic feel than Calcutta . The trees were washed by recent rain, new roadworks are actually in use rather than perpetually under construction, and public gardens seem better maintained. While here we have had a special palace dinner with the Raja and the Nawab, one Hindi one Muslim, yet with a good relationship and this harmony apparently is also a feature of the general population. For the Australians reading this blog, Lucknow is where Walter Burley Griffin spent his last years and today we visited his grave in a large Christian cemetery, also the Tagore library he designed for the University of Lucknow. 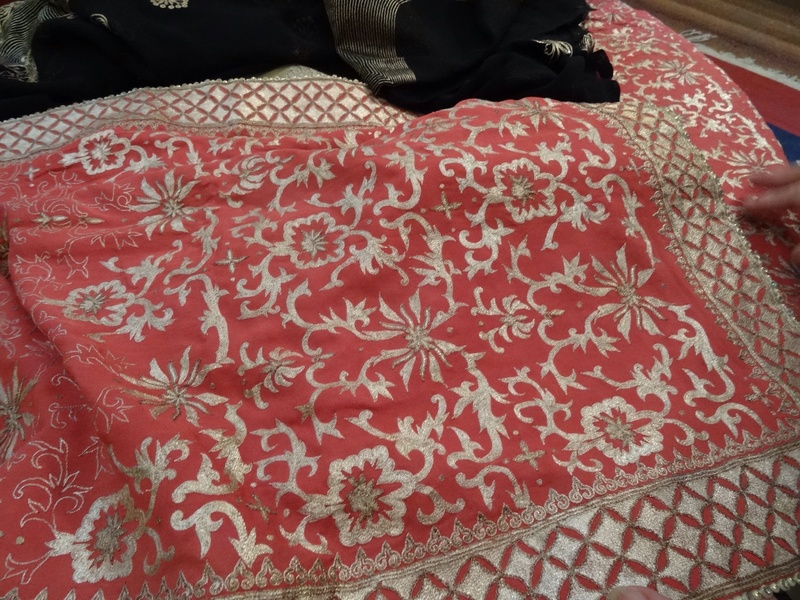 We are here to gain a better understanding of chikan kari, the embroidery style which is part of Lucknow’s history. Chikan kari began in Persia and the style spread around Central Asia, then came to India during the time if the Moghuls and finally became he Lucknow speciality – they will tell you here that it was Lucknow that “took it to an art form”. 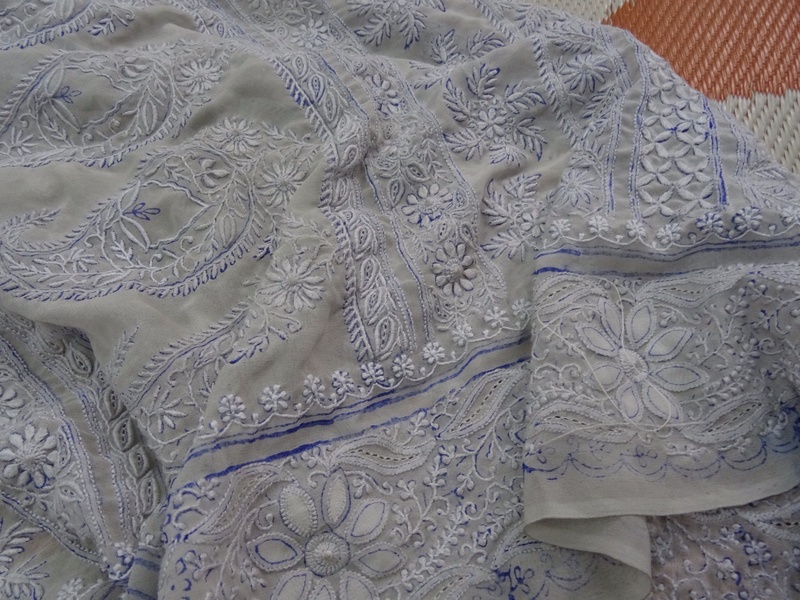 Classic chikan kari is done with white thread on white muslin cotton. Over the last couple of decades this has extended to coloured work. The designs are carried out using several motifs, taken from nature, some of which are said to be inspired by the angles of the necks of swans. We visited SEWA (Self Employed Women’s Association) an organisation of chikan embroidery embroidery artisans started in 1984. In order to encourage women to participate, SEWA has its own school for children of employees. There are now over 70,000 women and a highly successful school. The women come together as a community, supporting each other in a very real and practical way as well as working for the same organisation. 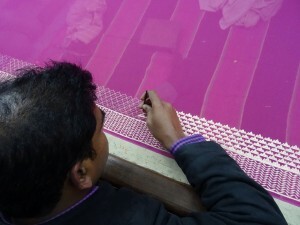 Its major agenda is to do away with the middleman, so that the artisans have direct access to their market. SEWA is insistent the women have their own bank accounts and encourages them to be independent. 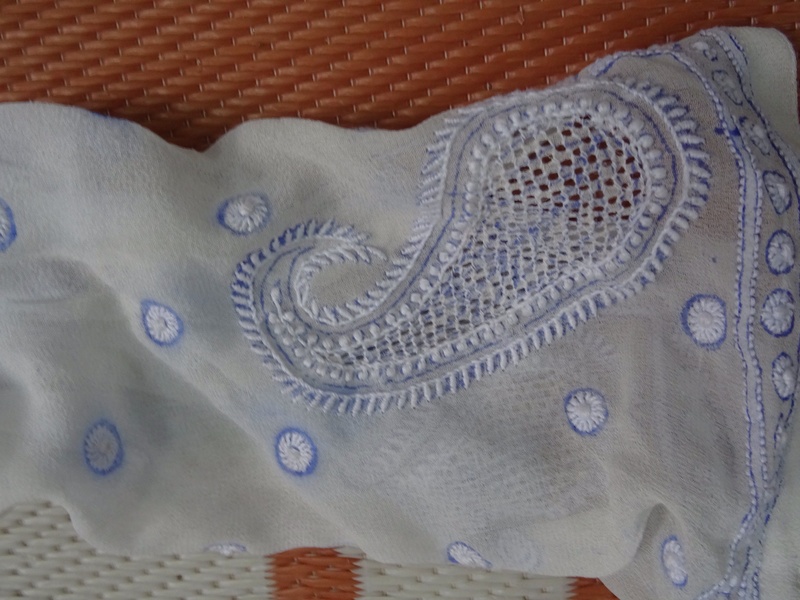 Some of the most common stitches used in chikan kari are shadow stitch and french knots, with a lattice motif (jali) picked out with short tight stitches that pull tiny holes in the weave. 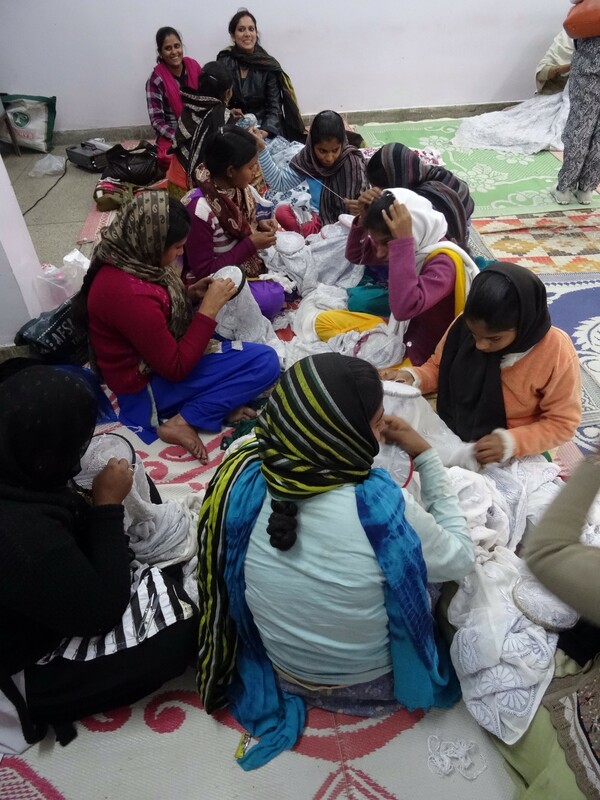 The women stitch at lightning speed, over a basic outline of the design that is printed on the fabric with a carved wooden block, using a mixture of indigo and starch that washes out after the piece has been worked. Several women can work on the same piece at the same time, their small embroidery hoops focusing the work area. There are other Lucknow specialities. 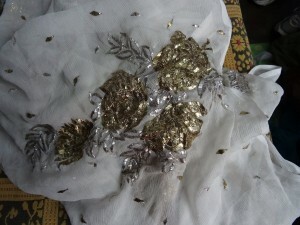 The fabric can be stretched on a wooden frame and then worked with metallic thread. In “ari” style, the needle punches vertically then brings up the thread in a chain stitch to fill previously outlined spaces. In “zardosi” the stitch is done horizontally as normal. Wire can also be used for a heavier look, and then the style has three possibly names – “muqqaish”, “jamdani” or “badla”. Hey Kris! 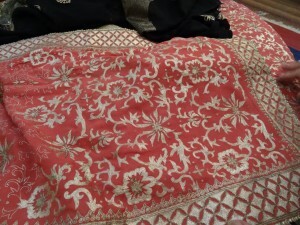 Did you buy me some muqqaish embroidery? 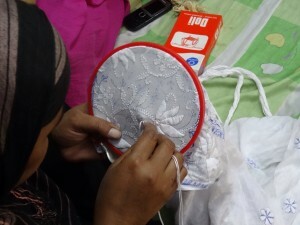 It all looks amazing and it must be fantastic to see the women embroidering the pieces. Thank you for sharing your adventures!!! I hope this finds you in cheer and good health w/which I send.